Many Republican Vermonters are reacting strongly to Gov. Phil Scott’s decision to sign three gun-control bills into law, and some say his flip-flop will have serious consequences come election time. Since the controversial signing on April 11, True North Reports has heard from gun owners who say that “hysteria” over school shootings is tarnishing a more than 200-year-old reputation of Vermont as the safest pro-gun state in the union. Chris Gibson, of Starksboro, describes himself as a “proud Vermonter,” but he said he feels betrayed by both the governor and his local state representatives. “This week is the first time in my life I have been ashamed to be a Vermonter,” Gibson told True North. “Gov. Phil Scott has proved that his word is no good; he caters to out-of-state interests. These bills in no way made anyone safer — all they do is infringe on the rights of law-abiding citizens. Gibson said the new laws wouldn’t work since “criminals to not obey the law” and “murder is (already) illegal.” He said the state was following an agenda “pushed by former New York City Mayor Michael Bloomberg’s ‘Everytown for Gun Safety’ movement,” and that people need to wake up and vote against Scott and numerous state lawmakers. Retired NYPD officer Thomas Sinacore, of Middlebury, is a long-time Republican voter. He moved to Vermont from New York following the 9/11 World Trade Center terror attacks in 2001. As a gun owner and lifetime NRA member, the ex-cop thought he had relocated to a safer, more secure state compared to his gun-restrictive Empire State. But now he’s not so sure. The Green Mountain State, he said, is losing its reputation as a place where “libertarian” gun rights have been in place since colonial days. “I am deeply disappointed with Gov. Scott. 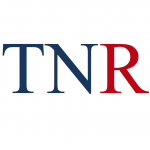 He is wrong by punishing law-abiding Vermonters with the signing of S.55, S.221 and H.422 into law,” Sinacore told TNR. “I moved to Vermont for its heritage of freedom, its live-and-let-live ideas about personal freedom, gun ownership laws, (and its) generations of hunters and outdoor enthusiasts. Now I believe Vermont is becoming a socialist state — we have lost our way in what it means to be a Vermonter. In Sinacore’s view, state legislators “overreacted” to the Feb. 14 Florida high school shooting incident and also the ‘would-be-assassin’ Jack Sawyer case in Fair Haven. However, he said the Vermont Supreme Court was right to let Sawyer off last week after ruling that his thoughts against Fair Haven High School, as exposed in February, did not constitute attempted first-degree murder or attempted aggravated murder. 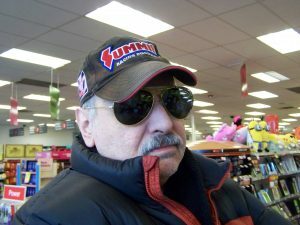 He added: “I say this as a proud, retired New York City police veteran. I’ve seen crimes and killings during my time in the city, but what I observe today is pure hysteria; it’s a kind of creeping neurotic behavior all across society. Some Vermonters pointed out the contradiction that while the Green Mountain State has been one of the safest in the nation while having near total gun freedom, gun-control centers such as Chicago and even London are seeing murders spike to unprecedented levels. Sinacore predicted that Scott would be a one-term governor because he’s already lost Republican voters, and Democrats will vote for a Democrat candidate for governor. The entire GOP in Vermont is in disarray. They don’t seem to have many common values; it is split. RINOS vs Conservatives. My suggestion: BE BOLD! Make CONSERVATIVE pronouncements; don’t be Democrat Lite. THAT is the problem. 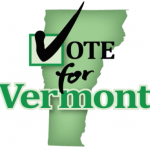 Give Vermonters a REAL CHOICE!!!! As our WINNING President stated to the black community. ” What have you got to lose?’. You are losers all ready! And you will continue to lose until you get a spine; get a REAL conservative platform; BACK THE PRESIDENT, and give Vermonters a real alternative to what we have governing us now. The Republican party is not immune from the creeping crud of Leftism as displayed by the esteemed gov. RINO Scott and others in the party. Time for the republican party to decide if they want to become conservatives once again or Leftism Lite,if the chose the latter I can foresee them going the way of their former self’s the Whigs. and cuts he presented to them, they are still bitter !! other ” Liberal ” Shinning Star under the Golden Dome and we have plenty Liberals!! story on the remainder of the Conservatives base who Voted Scott in ?? Keith Stern is not the Burnmeister. I wasn’t surprised by the vote of many, but I was literally shocked when I found Representative Baser voted for this and Phil signed it. They will not get my vote again. The things Governor Scott is doing that is good can be easily replaced by any republican walking down the street. Signing the gun bills wasn’t my only reason I am not voting for him again, I had made up my mind when he signed the marijuana bill. The education stances he has will guarantee that he won’t get democratic votes, even though the media says he will, by the time November comes around they will return to their platform. Ah yes,the media,the moral purveyors of fact and truth. If you and I had a nickel for every time the media overlooks fact and truth to sell the agenda we would bot be millionaires. The media had themselves convinced that hiLIARy was to be the next president,just as RINO Scott will surely be reelected governor,by who. I hope the media actually have themselves they are correct,it will make them and their loss all the more sweet when he doesn’t make it past the primary. I’m sure that all the Leftist’s are going to back him,instead of there own Left wing nut job,who will make every day a feel good rainbow day filled with free Kool Aid and hand outs for all. Then there is ole RINO and he just signed away 70% of any supporters he may have had and hopefully won’t make it out of the primary. You either send Scott packing and send a message that if you mess with your guns your going to be a one term wonder OR this is going to happen again, either with Scott of the next Gov. If I still lived in VT I would send him packing. The message has been written, now it just needs to be sent. Every gov after Scott needs to know that additional 2nd amendment restrictions is a POLITICAL DEATH wish. Lets look at the ramifications of these gun control people, financial supporting organizations (don’t have to mention herein, well known), Legislators including the Governor. Given they have made it difficult for people to protect themselves via stupid laws, realism must acknowledged. The “lawmakers” have and are disarming the US public, it’s happening. Politicians have been bought off for promoting their agenda, money talks. The opposition for gun control knows this. However, there is a scenario wherein if by their controlling laws people are less safe and harm becomes to them being defenseless, then the lawmakers should be held personally and financially responsible for their attitude / decisions in public office. Many decisions made haven’t been fully evaluated for the public and individual good. Most Gov voting for a gun control bill is made on “feel good”, not reality and laws not on the books. People can be killed on “feel good” legislation. People need to be held accountable that affects many lives. Damn if I harm someone, I’d be in jail. Vermont is a “Safe Sanctuary State” via Gov Scott et al. Bring your sick, uneducated, terrorists, the local communities will house, give you driver licenses, allow you to vote and take care of you. If you kill someone (gun or vehicle), our liberal courts will free you to repeat. Libs say “but I feel good”. 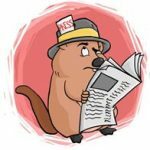 Many commenters have mentioned this, too bad legislators don’t read True North Reports for realism and the great concerned inputs by Vermonters. Two worlds. Keith Stern. I’m dead serious about this position. It’s happening, many articles expose this. The transformation of Vermont. Scott is a traitor to his recipients. I hope that all the gun owners stay pissed and truly unite come November. We need to find candidates to run for all offices. The culture needs to change in this State and the only way to do it is to vote them all out..
Gov. RINO Scott and his best Leftist buddies in the legislature did absolutely nothing to improve school system security,Nothing. However they found the time to violate We The People of Vermont Article 16 and 2 nd. Amendment civil rights and they think the the People of Vermont should reelect them,Not a Chance in Hades,Well Bye RINO Scott. as Burlington was in the throws of trying pass three useless gun bills ( again ) IDIOTS . nothing has changed since 1999 ( pitiful) with in the school system to protect anyone !! they have no shame ……Just tainted $$$. I voted for the Governor, I’m thinking I’m crazy !! Montpelier should be considered a “Gun Free Zone”. I’ve listened to several conversations where Scott’s new position on gun control was being discussed. The Vermont gun owners, both Democrats (Lots professed to havevoted for Scott) and Republicans, that I’ve heard are deeply disappointed in the Governor,s actions and have pledged to withdraw their support should he run again. As mentioned in the story, he is indeed a “RINO”. All of those years under Shumlin took their toll. He appears to have handed the governor’s office over to Democrats and Progs. Knowing that Scott has shot himself in the foot, any candidate that they put forward will have a good chance of winning because many Republicans will vote against him or just not show up out of sprite. Democrats will support one of their own this time. It’s a long time until November and maybe the resentment will die down. I’m betting that it won’t. Time will tell as it always does. Being spiteful, withdraw and not vote is allowing the opposition to win, that they figure on. Freedom is what this upcoming election is about, not hiding from it. If VT Socialists allow illegals to vote, then all people should be involve and take the state back. That’s the only way to change Gov direction and send the Socialists to selling pencils and off the taxpayer teat. Too bad that voters don’t have to take a simple competency test, pass you vote, don’t, then study American history, pass, then vote. Shows they know something. True Vermonters are honest people and DON’T renege promises. He was in Gov too long and breathed that Montpelier air and desired to kiss up to the Socialists. In doing so, he’s gambling that he can garnish their following to get re-elected. There’s really only two reasons for his turncoat actions, money (being bought off) or Governorship power. It wasn’t because of school incidents, that was taken care of by law enforcement and other aspects. Should have let the system take care of itself with the laws in place. Montpelier hasn’t for a long time been for Vermonters. He feels good about passing new laws on op of all that exist. Turncoat stupidity masquerading as a true Vermonter got elected. Another Gov runner was better qualified but lost in the primary. Con artists know how to dupe people, snake oil salesman. One of th worse governors in he country, except Moonbeam Brown CA. Keith Stern for Vermont Governor. I’ll second this sentiment ! Just fulfilling a promise,not a threat I made to RINO Scott. We were warned about him. He will never get our vote again, I don’t care if he runs against sanders crooked wife, never again. But look at who he ran against, Sue Minter, Flatlander who wanted gun control. There wasn’t any choice. Thought the choice was safe, Ms Minter was far better looking, so it came down to a truthful beauty or a wolf in sheep’s clothing. Truth comes out too late. Not too late for the upcoming primary,send RINO Scott out in the cold or out of Montpelier on a rail.